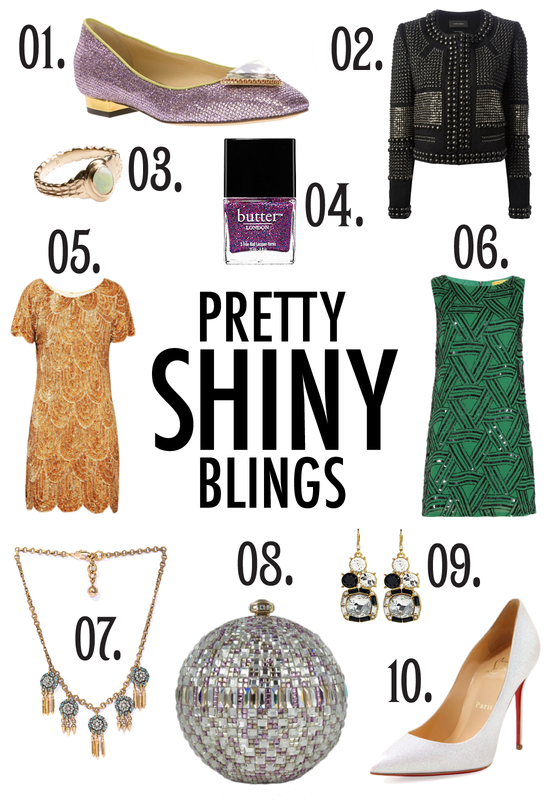 Glitter, sparkle, and luxury are practically synonymous with the holiday season, so why not indulge yourself with some shiny treats to ring in the new year? If you’re going for maximum high-wattage, go with a sequined or beaded frock such as the Rachel Gilbert dress or Alice + Olivia shift. If you’re not ready to commit fully to the Goddess of Bling, ease into the cult with some glitter nail polish—Butter’s Lovely Jubbly adds a pop of color with just a hint of sparkle—or a studded black jacket such as the Isabel Marant pick above. But if you really want to turn heads, splurge on the Judith Leiber miniaudiere, the perfect complement to the crystal ball dropping in Times Square at midnight.